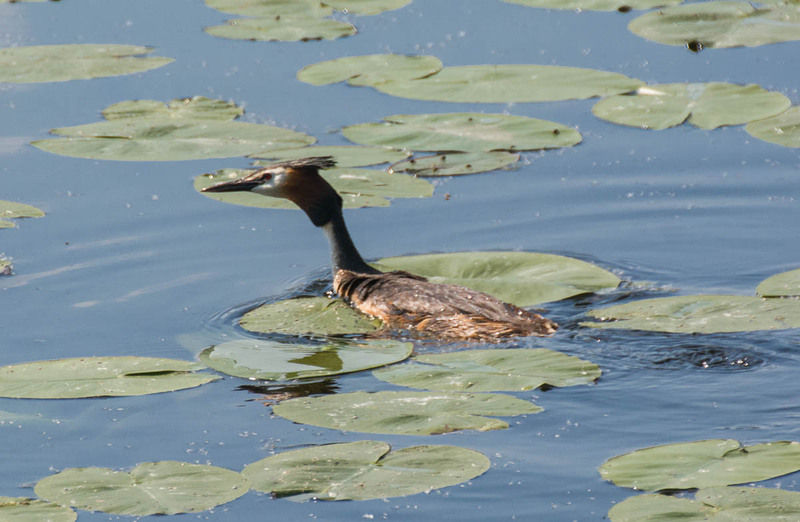 Here is a photo of a great crested grebe. I cropped the photo quite a bit and it resulted in quality loss, but I wanted to show this bird anyway. I find them quite funny, because they do basically look like the punks under the birds. If you like to take a look, here is another photo of this species. I can’t await the warmer season, to get out again and to maybe take new bird photos. This winter I wasn’t really in the mood to go hiking or to do photography, but it’s usually anyway more the time where I enjoy PC games or other things. But as I mentioned in a previous post, I’d like to get into spring mood as soon as the time has come, it’s just a more interesting time for photography. These are really cool birds. They actually “fly” underwater. Using their wings and everything.